Oh, this is an S.O.S. because it appears the Jonas Brothers may officially be getting back together. Every fan of the JoBros remembers when the (literal) band of brothers parted ways in 2013, canceling their comeback tour just days before it was set to begin — officially disbanding two weeks later due to creative differences. In the years since the Jonas Brothers’ split — which BTW, Nick Jonas revealed last year that he initiated — the brothers have each found success in their own right. Nick has boasted a successful acting and solo music career, and was recently nominated for a Golden Globe for Best Original Song for animated film Ferdinand. Joe is the frontman of DNCE — whose debut single “Cake by the Ocean” was one of the biggest songs of 2016 — and is now engaged to Game of Thrones actress Sophie Turner. Meanwhile, Kevin is a doting family man to wife Danielle and their two daughters, and is apparently a contractor, appearing on The Real Housewives of New Jersey in 2014 as cast member Kathy Wakile’s contractor. 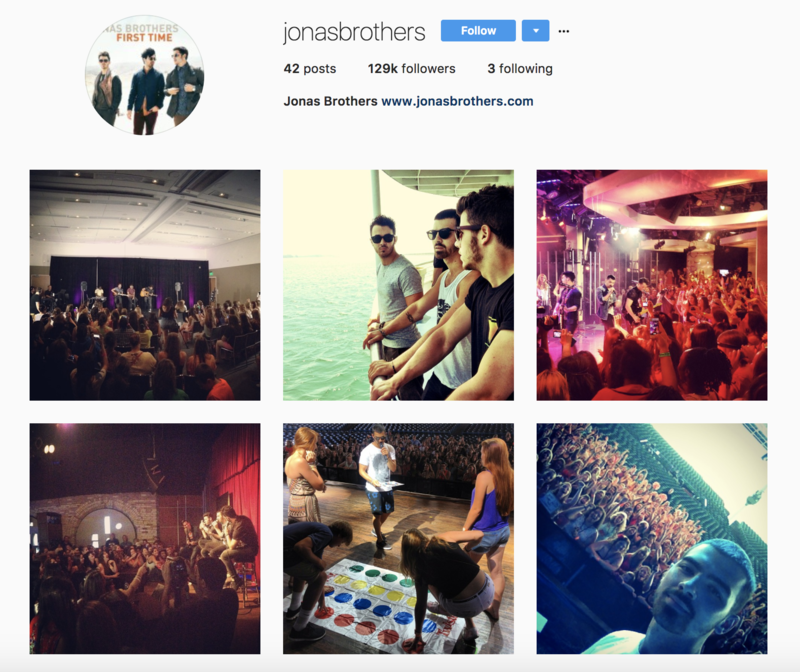 But now, it appears the JoBros are officially heading towards a reconciliation of sorts as they’ve reportedly reactivated their Instagram, which was deactivated following their split in 2013. Adding fuel to the fire is this Instagram post from Ryan Liestman, who served as a touring member of the group’s backing band. Yesterday, he posted a group shot with the three brothers and his wife, alongside the caption “family reunion.” Sure, this could have simply been a reunion between the former bandmates. But coupled with the Jonas Brothers Instagram revival, we’re certainly left thinking it may be more than just a simple reunion. I don’t know who needs this possible Jonas Brothers reunion more: Me or Kevin. It feels like 2008 all over again! Seriously though, what we need is the Jonas Brothers to look us in the eyes and set the record straight. Maybe this year the brothers and Busted will finally give us the “Year 3000” supergroup performance we’ve been waiting for. We’re keeping our fingers crossed that 2018 brings the Jonas Brothers back into our lives — even if it’s just touring their greatest hits.